Far west Oahu is a study in contrasts, set between the dry, craggy Waianae Mountains and the watery depths of the blue Pacific Ocean. 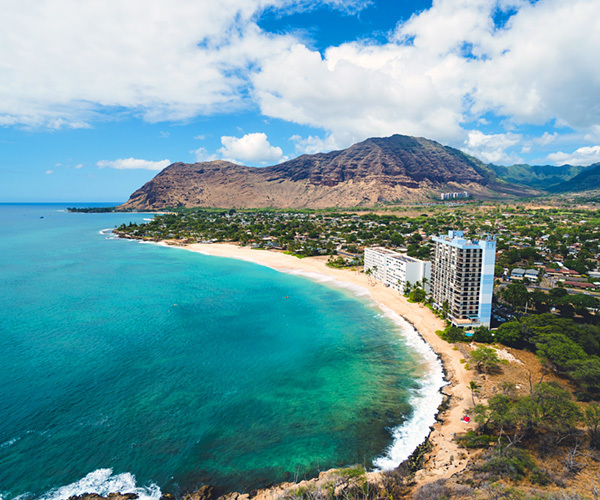 The Waianae Coast boasts 20 miles of what many feel are the island’s most beautiful, unspoiled beaches and Oahu’s best big-game fishing off this coast. Most Waianae Coast homes, condos, and apartments are in the affordable price range, although a few expensive homes with incredible ocean views dot the landscape. Two golf courses and one of Hawaii’s most ethereal restored heiaus (ancient Hawaiian temple) are located in Makaha. For years, the Makaha International Surf Championship, one of the world’s major surfing events was also held here. Most Nanakuli residences are unpretentious 2- and 3-bedroom homes, about half owner-occupied and half affordable rentals. This good-hearted neighborhood is a beach picnic, backyard barbecue, potluck dinner kind of place.